Home life We will still be friends forever. Last day of senior year. May 2008. 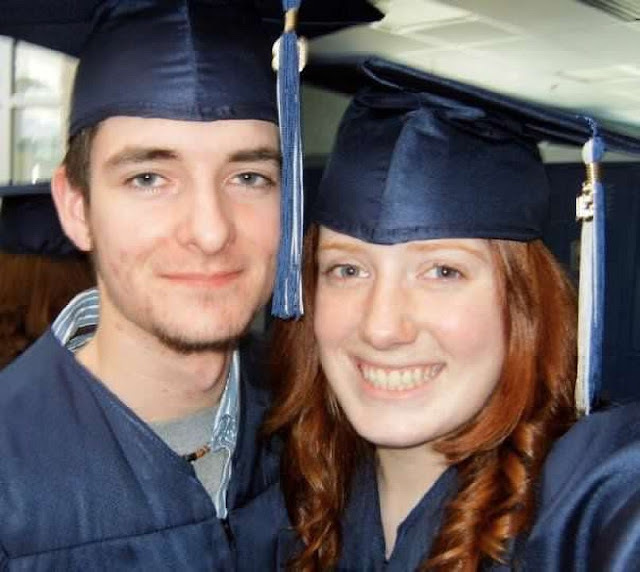 Graduating from high school with my now husband. May 2008. The first weekend in October was like flashing back ten years, except add a few husbands and a slew of children. For the first time since graduating the entire group was back together to celebrate our ten year class reunion. We packed the weekend full of dinner outings, barbecues, playdates and the reunion itself. So much laughter. So many new memories. So many pictures. I left the weekend with all the warm and fuzzy feelings, because there is nothing better in my book. On Friday a few of us went out for one of those staples you absolutely crave when Kansas City is no longer your home town... barbecue. We inhaled it. As you do. The next day at lunch, Rob and I hosted everyone for some good food and good company. The kids destroyed the playroom and loved every minute of it. Meanwhile us moms sat around and marveled at all the babies being together under one roof. We recreated this picture - ten years later. We split in time to get ready, drop kids off and head up north for the class reunion itself. Those in charge had picked an indoor/outdoor entertainment venue that specializes in pickleball and chicken, Chicken N Pickle. Unfortunately it was a drizzly, rainy night and so most of the evening was spent crammed underneath one of the few patio heaters trying to stay dry and warm. Regardless of the weather, I'd say it was a success. Some awkward moments and some uncomfortable run ins, but none the less, the evening was full of laughter and reminiscing of all things high school. Even my husband was enjoying himself by the end of the night. A special shout out to my mom, dad and sister for watching our girls that evening. Even Emily (who had just gotten through a pretty good sized clingy growth spurt) managed to make it without mom and dad for several hours and I was able to relax for a bit. So thank you family. Before my far away friends returned to their far away homes we gathered for one more playdate with pizza and a box full of old pictures on that Monday. It is so insanely crazy to see how far we have come from our awkward high school days to the confident mamas of multiples we are now. Motherhood has been made even more special because we have gotten to share so many milestones... Chelsea and I became mama's for the first time within a week of each other and our second babies were born on the exact same day. Megan and I were both pregnant with our second and third babes together, the middle babes birthdays are almost two weeks apart and our youngest babes are 3 months apart. I just wish we were all closer and our kids got to grow up together. Unfortunately Chelsea's trip to Kansas was over... but we still had a few days with Megan and her sweet kids. Tuesday we met up for lunch and Kara was able to join us on her lunch break. After SO much good food and ice cream, we went shopping for everything and nothing. We wrapped up the afternoon with hide and go seek at their hotel while we waited for a tornado producing line of storms to pass through. Last Friday was our last visit with our dear friends. We met for dinner to celebrate Megan turning 29! After our original plans fell through, we ended up getting into a restaurant that gave us an entire back room to ourselves. The food was terrible, but the company was A+ and I cried as we left because I loathe saying goodbye. 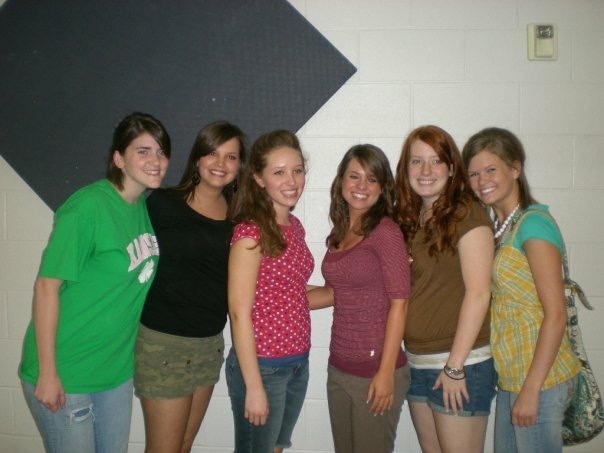 But how awesome is it that I still have these friends to call my bests ten years after graduating high school?! I am so very blessed even if there are miles and miles between all of us. I'm also all in if we want to have a class reunion every year if it means all my friends come back together under one roof. What a fun experience!!!!! 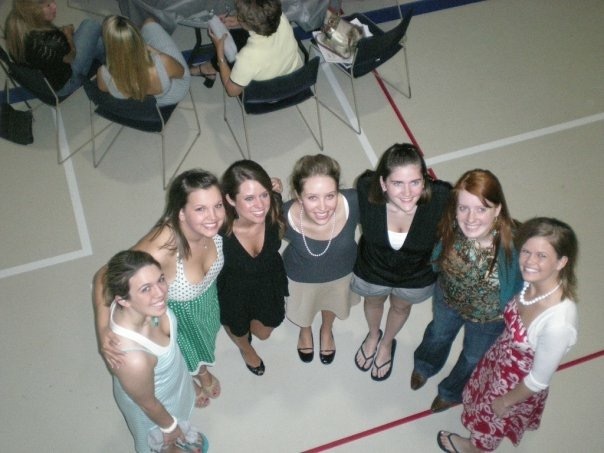 I didn't go to my 10 year reunion and part of me regrets it. I really felt like I might as well... so I made it a priority to go! It's great that you are still friends with everyone! The main people I talk to from high school are my sister and her husband. I am VERY lucky to still have three very close girlfriends that are doing life with me.